United Kingdom, France, Belgium, Germany, Austria, Hungary, Romania, Bulgaria, Turkey, Georgia, Russia, Kazakhstan, Uzbekistan, Kyrgyzstan, Mongolia & Russia: This evocative journey covers a quarter of the earth’s surface as we ride from the bustling, vibrant city of London to one of the most remote towns on earth, Magadan, Siberia. 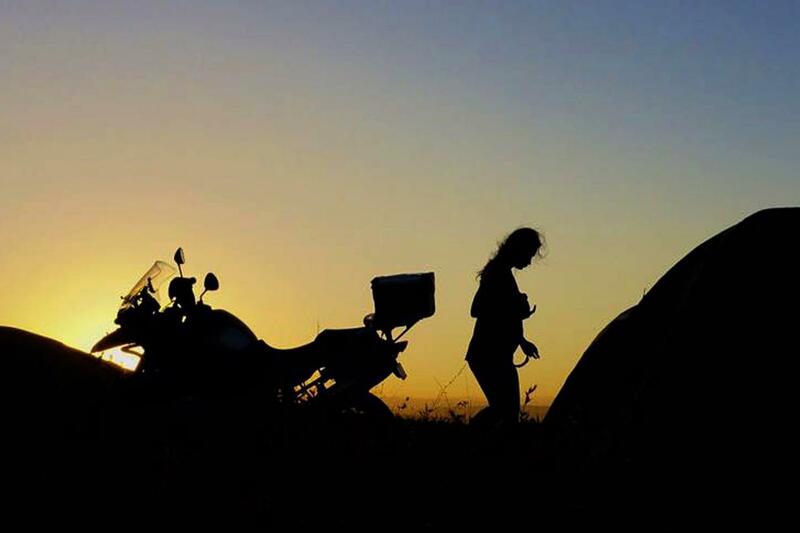 Be one of only a handful of adventure bikers to embark on this extraordinary, sometimes life changing, motorbike expedition into the incredible wilderness. 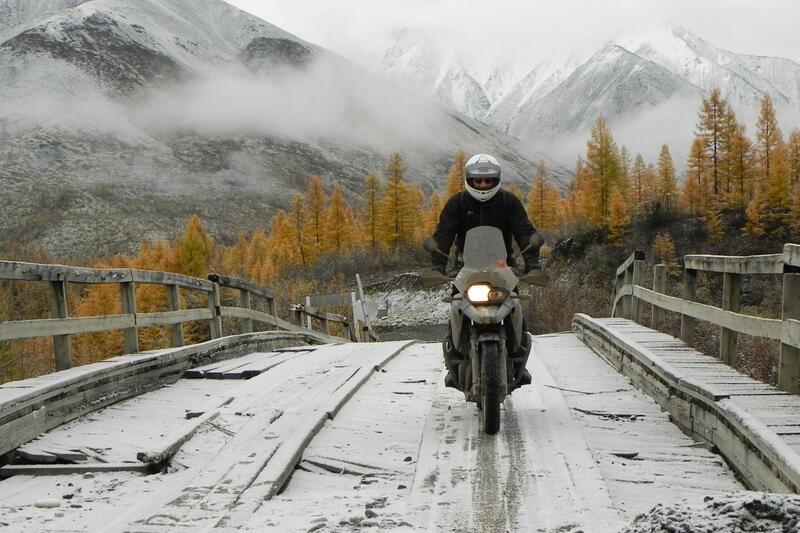 Discover some of the world’s most remote, historical, yet stunning countries and celebrate with us as we ride into Magadan nearly four months after leaving London. For an experience that will stay with you forever, join us as we ride the “Road of Bones”. However, it is not uncommon for places to become available closer to our departure date. We have started a wait list for potential places on the 2020 departure, please email info@compassexpeditions if you would like to be placed on our list and informed if any spots become available. This expedition can also be joined in Istanbul. This option is only available for those riding their own bikes. 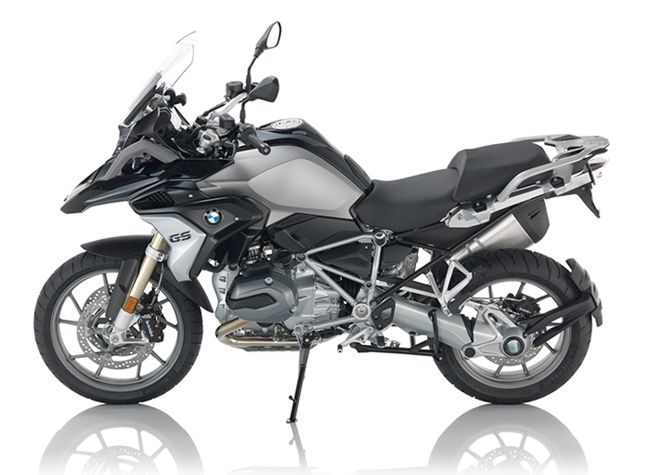 The cost of shipping your bike from the original start point, London, to Istanbul is not included in the tour price. Joining Day: Your London airport transfer will take you directly to our joining hotel, ready for an early start tomorrow. Today you will meet your crew for your tour briefing and welcome dinner. 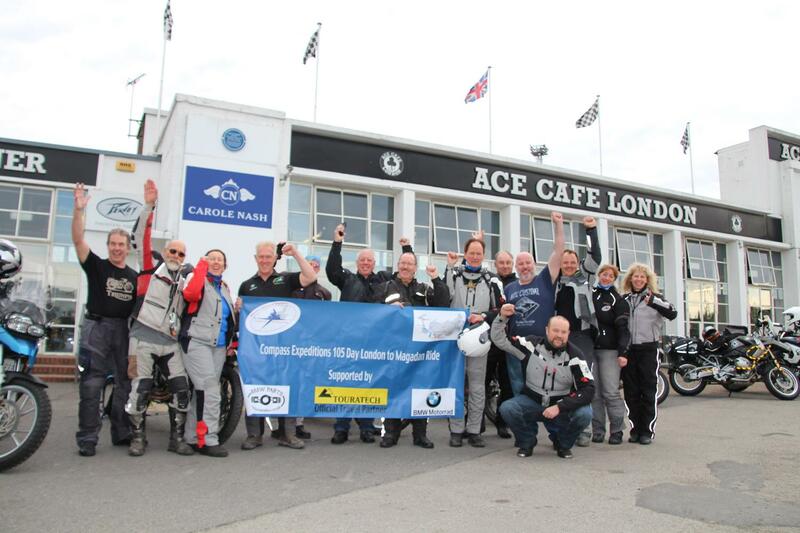 Week One: Departing London we cross “under” the English Channel and spend a night in the beautiful Brugge, Belgium, before reaching the legendary River Rhine at St Goar, Germany but not before spending a morning at the amazing Hohenswangau Castle. We ride the epic Grossglockner Pass before riding onto the stunning Salzburg, home to Mozart. 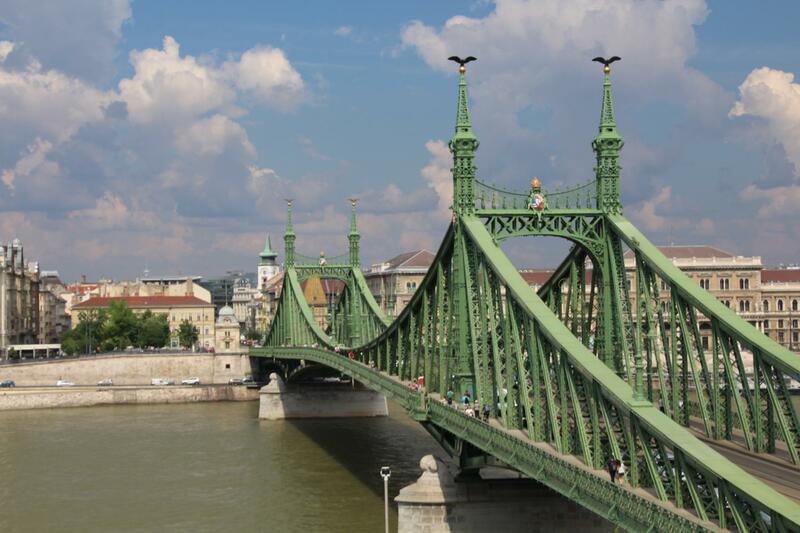 We cross into Hungary and arrive at spectacular Budapest, scenically located on the Danube, before visiting Dracula’s castle and the wonderful medieval town of Sighisaora in Romania, were we see the first week out. Week Two: A brief visit to the UNESCO listed city of Nessebar, Bulgaria will see us reach the crossroads of Asia at Istanbul, we spend two nights visiting the remarkable Topkapi Mosque, Bazaars and other sights. Then a ride north - west visiting the wonderful Ottoman towns of Safranbolu and Amasya before visiting the amazing Troglodye dwellings at Goreme in Central Turkey. An optional hot air balloon flight is recommended to really get a great view of this amazing landscape. Week Three: Riding north across the Turkish plateau we reach the Black Sea coast before stopping at Trabzon. Continuing on to Kars though tea plantations and gaping canyons we cross into the beautiful Georgia. 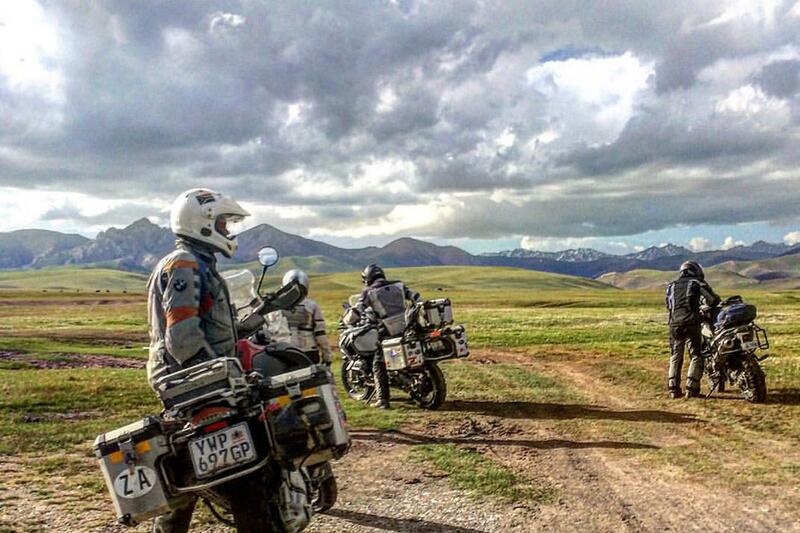 Georgia provides us with some epic riding, no more so than the utterly stunning and legendary Georgian Military Highway that cuts a narrow yet winding path through the Caucasus, before crossing into Russia. We continue north onto Volgograd, formerly Stalingrad; this city was the sight of the bloodiest battle during WW2 and a visit to the moving memorial on Mamaev Hill and the 56m statue of “Mother Russia” is a must. Week Four: Riding further north we eventually reach Moscow where we spend three nights allowing us to visit one of the world’s most recognizable sights of St Basils, located in the wonderful Red Square. Also on the agenda are the Kremlin, Lenin’s Tomb and Gorky Park as part of an included city tour. Riding out of Moscow we enjoy a short ride to Suzdal a small Russian village seemingly caught in a time warp, things haven’t changed a lot since the rule of the Tsars. The skyline of this small village is dotted with golden cupolas that glint in the afternoon sun; it’s a wonderful place. We ride south for Kazan with its amazing Kremlin and then through rarely travelled country as we head for Samara set on the banks of the Volga, a once closed Russian city and home to the MIG jet fighters. Week Five: We leave Russia and enter Kazakhstan and the mighty Kazakh steppe. We ride the “road of death” across the silent Kazakh steppe, so vast that you can see the curvature of the earth, it really is a remote, lonely place, and we spend a number of nights camping in the wild surrounded by silence, sunset out here is extraordinary. Next stop is the Aral Sea, where we see fishing boats left high and dry on the sand dunes when only a few decades earlier they were floating in the same spot. (Please note we do not see the Aral Sea, that’s the whole point, IT'S GONE). The Aral Sea disaster, as it is known, is a testament to man’s capacity to completely stuff up his environment. 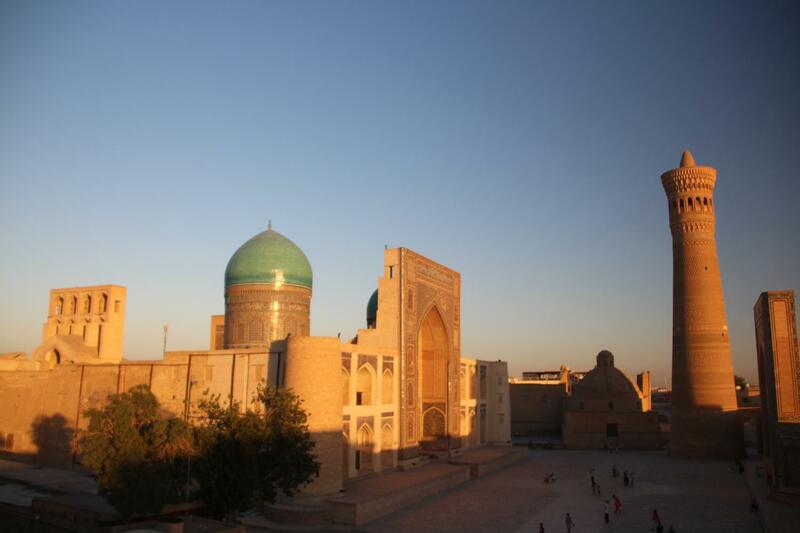 Week Six: We ride through the Kyzyl-Kum Desert to our next port of call, Turkistan, where we visit Kazakhstan’s greatest building the Kozha Akhmed Yasaui mausoleum built by Tamerlane in the 14th century. Leaving Kazakhstan we cross into Uzbekistan. Uzbekistan is home to some of the greatest Silk Road treasures and is about as far away as you could get from the usual tourist trail, yet it holds some of the most fantastic architecture on earth. We spend two nights in Tashkent before riding out for Samarqand. No name is so evocative of the Silk Road than Samarqand. Two nights are spent in this magical city wandering the ancient alleyways and markets and watching as the sunsets over the mighty Registan, no other sight is so synonymous with the Silk Road as the Registan. Another two nights are spent at Uzbekistan’s holiest city, Bukhara. Sipping tea and eating Shashlyks around the ancient Labi Hauz is like stepping back in time. Bukhara too is synonymous with the Silk Road and also has a strong history relating to the “great game” played out in the 19th century. Week Seven: We ride onto Tamerlane’s birthplace of Shakhrisabz and view the mighty Ak-Saray palace once so big it even dwarfed the Registan, all that is left now is its 40m/ 131ft high entrance, still an amazing sight. We cross the 1,788 m / 5,866 ft pass of Takhtakaracha before riding back to Tashkent and down into the Ferghana Valley before spending a night in Fergana. We cross now into what is known as Central Asia’s Shangri-la, Kyrgyzstan, home to some of Central Asia’s grandest mountains. We are now in the cool of the mountains for the first time as we ride through stunning canyon lands dissected in two by a turquoise river running far below, the riding is simply stunning. We cross the immense Kazarman Pass inhabited by a handful of very friendly Ger dwelling families where we camp out amongst the mountains in this stunning landscape. Week Eight: We ride over another pass at 3,500 m / 11,482 ft and down to the capital, Bishkek where we can recharge our batteries and enjoy the city life for 2 nights. Leaving Bishkek we skirt the shores of the world’s second largest alpine lake of Issyk-Kol before arriving in the old Russian town of Karakol where we spend the next three nights. 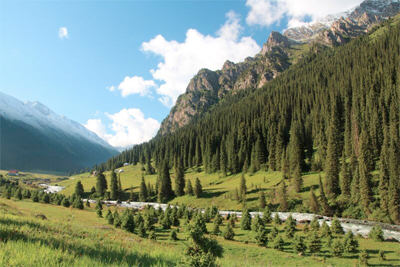 Karakol is the base we use for exploring the postcard picture perfect alpine valleys that tumble out of the Central Tien Shan Mountains that border China. We visit the red rock canyons at Jeti-oghuz and the stunning Altyn Arashan valley after a wild Kamaz truck journey to gain access. Week Nine: Leaving Kyrgyzstan we once again enter Kazakhstan and camp a night in the wild before visiting the immense Charyn Canyon and riding onto Almaty. Three nights are spent in Almaty as we explore the city or maybe take a ride up the nearby Zailiysky Alatau range that looms just beyond the city limits. We once again ride across the vast empty and silent Kazakh Steppe eventually reaching the Russian border after nearly three days of riding. Crossing into Russia we rejoin the Trans Siberian highway as we head further eastward towards Krasnoyarsk. Week Ten: More wild camping in amongst the endless Taiga before arriving at Irkutsk, seven days after leaving Almaty. Irkutsk is the stepping off point for the wondrous Lake Baikal the deepest freshwater lake in the world. We ride up the western side of the lake reaching the privately owned bay where we shall camp mid afternoon. Krestovka Bay offers some of the finest views of the towering cliffs that rise lakeside and also a rare chance to view fast disappearing Shamanic rock art. Returning to Irkutsk we enjoy our last “big city”, with its many fine restaurants and classic Russian gingerbread houses that we will see for a few weeks. 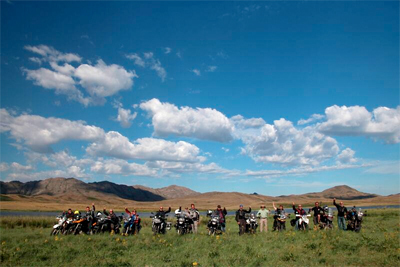 Crossing into Mongolia is like crossing into another world, it is a country without fences and mostly without roads, we simply ride across the landscape uninhibited, it truly is the last great act of freedom left in biking. First stop will be the Amarbayasgalant Monastery scenically located at the junction of three valleys. The riding becomes more difficult now as we ride across the open landscape on rough dirt tracks, you will barely notice though as we are overawed by the immensity of the countryside where we free camp for a number of nights before eventually reaching Moron, and onto the spectacular Khovsgul Nuur. We stay in a lakeside Ger camp run by the effervescent Otgoo and her team; the lake is only a few hundred kilometres from Lake Baikal, as the crow flies, but a 6-day ride since we left Baikal. Week Twelve: Khovsgul Nuur is a stunning lake surrounded by snow capped peaks and alpine forests where we spend three nights in a traditional Ger. We can ride along the western side of the lake for unbelievable views of the lake with brilliant white Gers reflecting in its calm waters or enjoy a fish lunch in a wonderful log cabin restaurant, lakeside. Dragging ourselves away from Khovsgul Nuur we take a short ride to Moron Ger camp where we spend a night for some truly spectacular Mongolian hospitality. Continuing on we take the remote back tracks to White Lake and this is where the riding becomes challenging as does the navigation. We follow a single grass track across the valley floors and begin to cross numerous creeks and high passes. We spend a night at a Ger camp on the edge of the beautiful White lake, no T.V, no mobile phones, its magnificent isolation. The pace is picked up a little as we ride for Tseterleg and enjoy what is possibly the finest meal in Central Asia at the Fairview hotel and restaurant. We visit the magnificent Erdene Zuu Khiid Monastery, the former capital of Genghis Khan, on our way to Ulaan Baatar. Week Thirteen: We spend three nights here re-charging our batteries and visiting the sights including the wonderful Gandantegchinlen Khid (Great Palace). It comes as a surprise to be talking with fellow travellers again as we have been in some very remote, rarely traversed regions for some time. 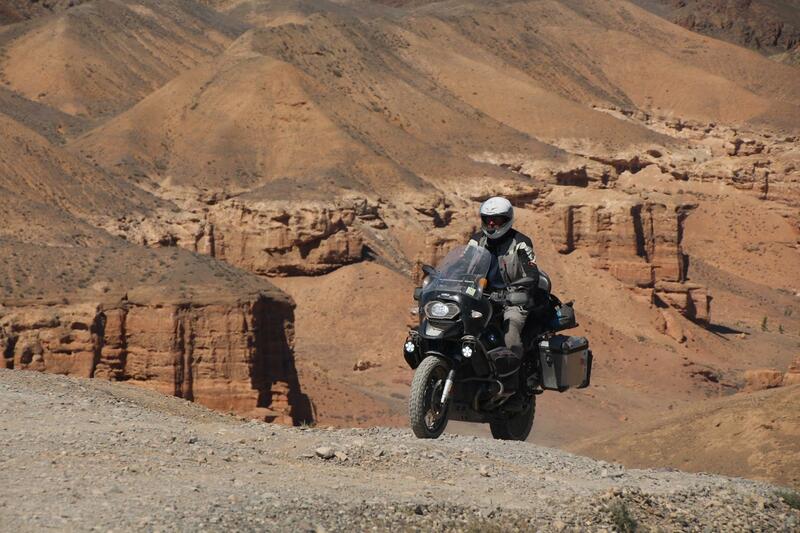 We then ride north toward the Russian border and soon rejoin the Trans Siberian. This is a weeklong ride through the vast and remote Taiga that seemingly stretches on forever. It is a beautiful time of year to visit as the immense Taiga is beginning to show its autumn colours. We arrive at Chita for a well-earned shower and a cold beer and maybe a sauna to wash off the Trans Siberian dust or mud before, once again, riding out into the vastness that makes up the Taiga. Turning off the paved Trans Siberian Highway and onto the Lena Highway, also known as “the highway of hell” we ride directly north toward Nerungheri where we can enjoy a hot shower and some excellent restaurants, including some quirky Soviet Karaoke bars, before again riding out into the endless forests of the remote reaches of Siberia. 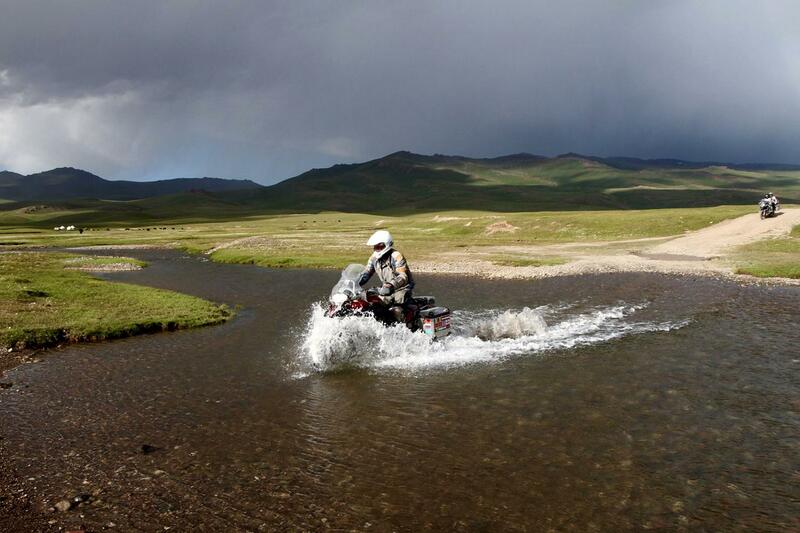 This is epic riding in a forgotten land; we truly are in a remote area of the world. Week Fourteen: The riding becomes challenging here and is a great practice run for the “Road of Bones”. We eventually reach Yakutsk, a surprising city of 240,000 people in the middle of absolutely nowhere. From here we enter the Kolyma Highway better know as the “Road of Bones”. 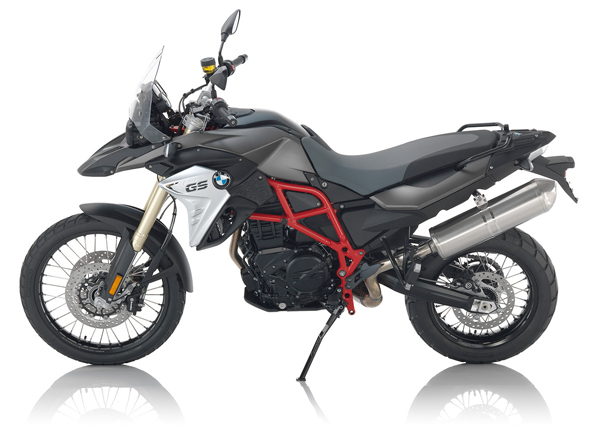 This is becoming one of the must-do rides for true adventure bikers. The ride across this vast imposing landscape is nothing short of epic, it is a challenge, it is difficult and it is very remote, but as one famous Hollywood actor, come biker, commented “I have lived more in these last few hours than I have in the last few years” or something like that! (Note: we take the Winter road as the Old Summer road is no longer passable, the winter road is still part of the tragic Road of Bones network that crisscrosses Siberia and the Kolyma region and is no less significant than the road made famous by Ewan and Charley). We ride into Magadan and get our first glimpses of the ocean since Turkey, all those months ago. Join us on this life-changing ride, savour that moment when you know you have accomplished an amazing feat and discover some of the world’s most remote, historical, yet stunning countries. Departure day: Take your included flight to Vladivostok. Spend some time in Vladivostok or fly home, the choice is yours. The road conditions vary wildly on this expedition. The roads across Europe are smooth and quick. 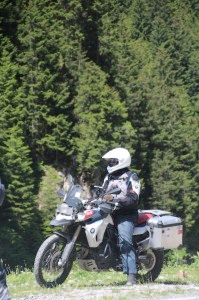 We ride some freeways to cross Europe quickly and clients should be prepared for this; however we shall ride small valleys in Switzerland and Austria which can get a lot of traffic and be narrow. The Russian roads can be very badly potholed and the Russian traffic can be aggressive at times, the might has the right really is the rule of thumb here. The so called “Road of Death” in Kazakhstan is all but paved now but can be in terrible condition with massive potholes in some sections. 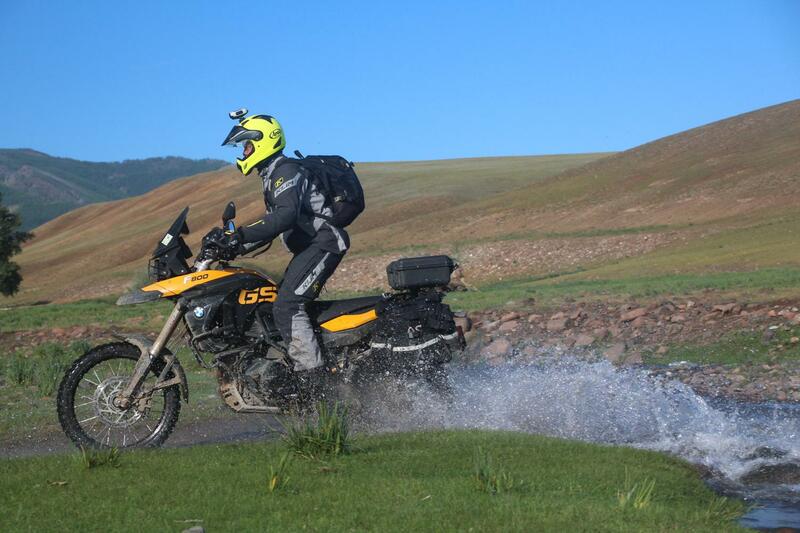 Mongolia has only 400 km / 250 mi of paved road, the remainder is dirt and some of it a little difficult with shallow creek crossings and gravel sections. The eastern section of the Trans Siberian is still dirt (although this is being replaced by new paved road). The Lena Highway once referred to as “the highway of hell” can be muddy and IS very rough and is mostly dirt. The “Roads of Bones” is without a doubt the most challenging riding, with sections of mud (if we get rain) washed out bridges, corrugations and long distances through the forests. We shall be leaving England late May and will be anticipating good weather across Europe; a little rain should be expected and certainly snow will still be on the GrossGlockner. Turkey will still be a little cold on the high plateau & possibly wet near the coast. At this time of year it is not uncommon for a little rain to be still around in Moscow. There is no escaping the heat of Central Asia but we shall only be experiencing the worst of it for two weeks. The mountains of Kyrgyzstan will be cool and clear and by the time we reach Siberia the Taiga shall be turning the wonderful colors of autumn. We reach the Road of Bones when the rivers are at their lowest levels and the days are starting to cool down meaning a lot less mosquitos. In summary we will experience the full gamut of weather conditions, but generally on the better side of these condition, i.e. we wont be riding thought white out conditions in sub zero temps!!! A flexible attitude is needed as services in these extremely remote regions may not be what you are accustomed to. I did the 2014 ‘Road of Bones’ Major Expedition with Compass Expedition. My hat goes off to Mick, Justin and Veronica for their continued efforts to run what must be one of the most challenging tours around. The tour is indeed a ‘major expedition’ and encompasses such a duration with so many possible variables that it is impossible to plan for every eventuality. 17 people, from around the globe of different age, experience, outlook and expectation. 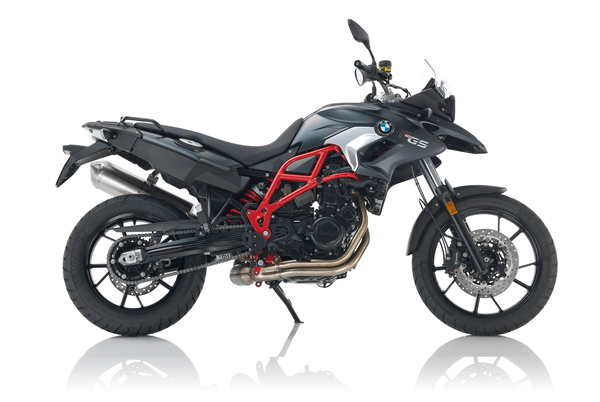 14 bikes, all different and requiring shipping to ports around the globe. 1 support vehicle with enough luggage to sink the Queen Mary. 14 countries each with a different language and 9 different currencies. 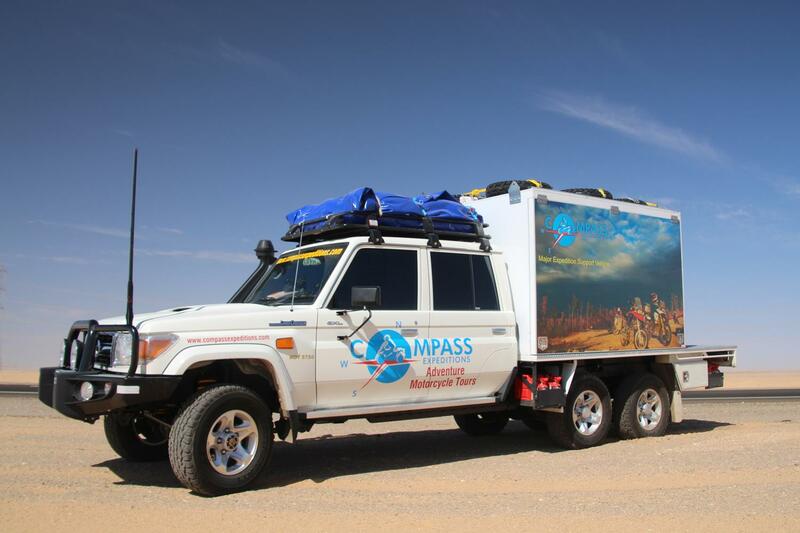 Compass however have the experience to provide the best path through the experience and Mick, Justin and Veronica kept their cool and delivered what will be remembered by all us us fortunate enough to go as a trip of a lifetime. I left the tour with great memories and friends which I’ll keep forever. Would I do that trip again? No, can’t see that happening. Am I glad I did it? Hell yeah, Would I do another trip with Compass? Most definitely. When people ask us about it, I am still finding it hard to describe how fantastic it was. It’s hard to imagine anything will ever be as awesome and life changing again. I just completed the Road of Bones Tour 2012 with Compass Expeditions. I experienced so many challenges throughout the tour. It was a true adventure experience. There were no 2 days the same and you would wake up in the morning and wonder what challenges await you today. Who are you going to meet? What scenery you are going to experience. I would recommend Compass Expeditions to anyone who wishes to do something out of the ordinary.